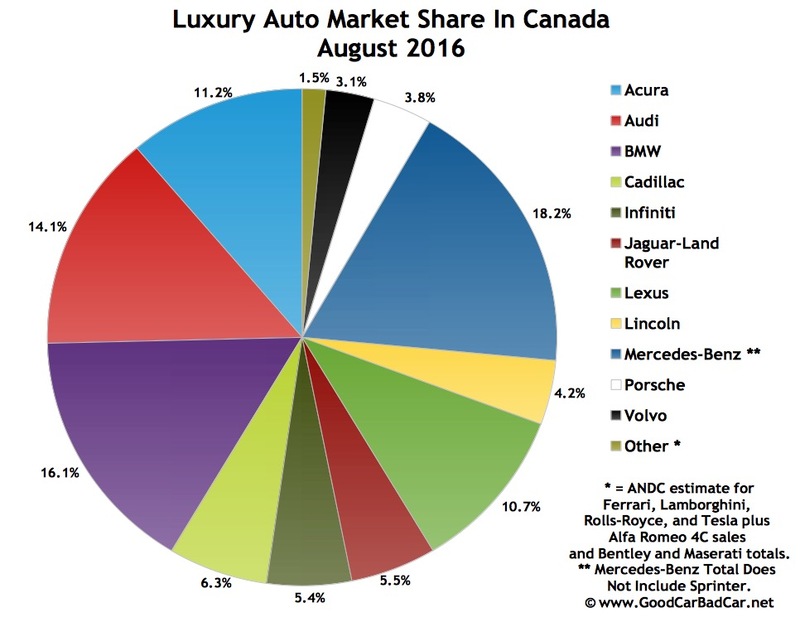 The Mercedes-Benz C-Class strengthened its hold as the best-selling premium brand vehicle in Canada in August 2016, expanding its year-to-date lead over the next-best-selling premium brand vehicle to 1046 units thanks to a 9% year-over-year August improvement. The second-ranked luxury automobile through 2016’s first eight months? Canadian sales of the Mercedes-Benz GLE-Class, formerly known as the M-Class, are up by a third this year. 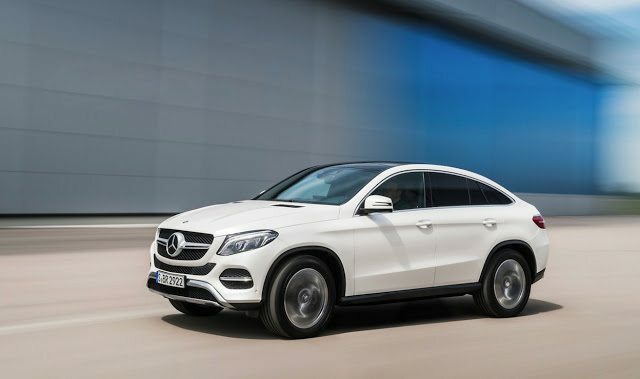 In August, the GLE ranked sixth among premium brand autos. But the GLE remains ahead of other premium utility vehicles, albeit by small margins. So far this year, the Audi Q5 is only eight sales back of the GLE. Lexus’ RX is 98 sales behind the Audi Q5. Among vehicles with base prices above $50,000, the GLE trailed the Lexus RX in August but leads all $50K+ vehicles so far this year. 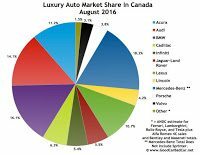 In August, 12 of the 15 top-selling premium brand vehicles in Canada were SUVs/crossovers. Among the 15 leading $50K+ autos, there was only one traditional passenger car.